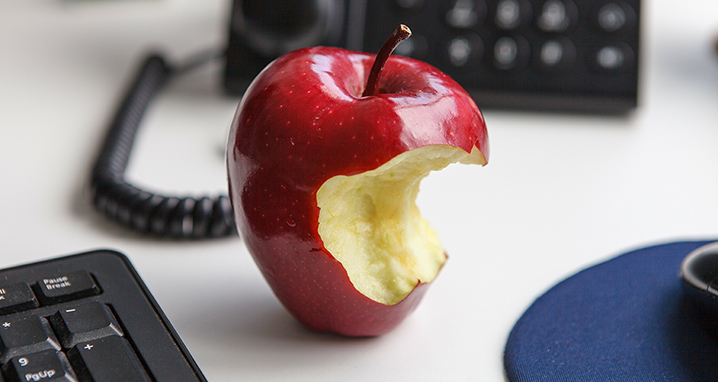 Most everyone has heard some version of “Culture eats strategy for lunch.” Countless iterations of failed strategic plans, as well as mergers and acquisitions, have proven the point. But does it have to be that way? Can we use what we know about the organization’s culture to start changing it while we do strategic planning? Oftentimes, the way we do strategic planning simply reinforces the current culture. And if that culture is already defensive, we are probably fortifying those defenses instead of breaking them down. 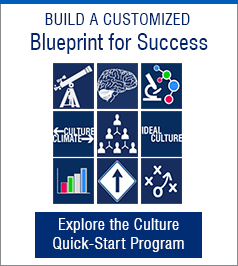 Today, as an integral part of my strategic planning with a client, I start with Human Synergistics’ Organizational Culture Inventory® (OCI®). I need to determine the current culture, establish why it is that way, and identify levers for changing it. From there I can design a strategic planning process that actually begins to change a client’s workplace culture while helping them plan their strategy. Here is an example of how I have integrated this tool into strategic planning with clients. In a mid-size public sector organization with which I worked, new leaders needed a strategic plan to deal with increasing demand for its services, staff turnover, and highly public incidents regarding safety. The only problem was that “strategic planning” had a bad name and no one wanted to do it. We did a limited culture study to find out what was going on, surveying those in management and supervisory positions since they were responsible for planning. We also conducted focus groups and interviews of managers and supervisors at each level of the organization. The organizational culture survey showed that, with one exception (a division that was the farthest from the main office! ), the overall culture was highly Passive/Defensive, with Avoidance being a core theme.1 Through the focus groups and interviews, we learned that managers at all levels felt beaten up by the punitive practices of a past administrator, especially in planning checkpoints where they would be publicly shamed. In addition, there was great fear of making a wrong decision, which translated into pushing decisions up to the highest levels of the organization. Unfortunately, people at that level did not want to make the decisions either, which translated into most decisions being made in crisis mode. The cultural assessment was sobering to say the least. After presenting the results to the client, they agreed that they were NOT ready to do strategic planning—yet! In designing a process for them, we needed to help them model effective decision making. They wanted high engagement, and yet at the same time needed to learn how to drive the process constructively to implementation. We helped them get ready to plan by: (1) describing and committing to a “From-To” organizational culture shift; (2) clarifying their leadership/management roles and responsibilities; and (3) clarifying their decision-making structure. That took three months to complete. As part of this effort, they restructured the leadership team into an executive team and an operational leadership team to more effectively address the issues faced by the organization. To begin strategic planning, the executive team was tasked with drafting the mission and operating principles of the organization and then working constructively with the operational leadership team to shape it. Over the next eight months, the rest of the organization was invited into the planning process. The executive team took the input from that large group session and refined it. Over the next month, all those involved in the large group meeting worked with the leaders to communicate a joint strategic direction throughout the organization. Then, each division was tasked with developing its own implementation plan congruous with the organization’s goals, in a highly engaged manner. We trained and supported internal facilitators to assist this effort, and almost a third of the organization was involved one way or another in strategic and tactical conversations and planning. A new checkpoint process was developed to focus on linking efforts and learning across the organization and communicating and celebrating progress. The operational leadership team became responsible for identifying, sponsoring, and supporting cross-functional work with executive support. I am happy to report that 18 months into implementation, people seem energized by their goals and they are making progress. The organization is planning to carry out a follow-up culture study next year for the entire organization and will use those results to help shape the process to update their goals and strategies. In other words, we now knew what to target and could design planning processes to support “shared learning and mutual experiences,” which Edgar Schein calls the key to culture change. None of this would have worked, however, without the total commitment of the top leader in this effort. How Do You “Sell” a Cultural Assessment? I have often been asked how I “sell” a cultural assessment. The reality is, I don’t—I just include it in my strategic planning work as “step one.” If I get push-back, I remind clients about the opening line of this article and watch their heads nod up and down. That said, I will tailor the cultural assessment based on planning objectives and financial resources. For example, if desired, we can also measure how the organization’s customers experience them with a companion tool from Human Synergistics. The Customer ServiceStyles™ (CSS) survey provides an organization with information about how the culture inside impacts their customers outside. 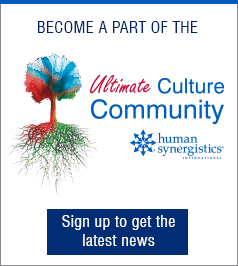 I have been working with Human Synergistics’ culture tools for more than 20 years and can honestly say theirs are the best tools in the industry. If you want reliable information built on solid research that validates clients’ experiences and gives you the levers for change, these are the tools to use. The rest is up to you! 1 The terminology is from Robert A. Cooke, Ph.D. and J. Clayton Lafferty, Ph.D., Organizational Culture Inventory® and Organizational Effectiveness Inventory®, Human Synergistics International, Plymouth, MI. Copyright © 1987-2007. All rights reserved. Used by permission. 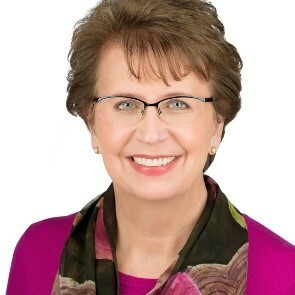 Cathy Perme is the owner and principal consultant of C. M. Perme & Associates, LLC, a regional consulting firm located in Minneapolis, MN that engages leaders from CEO to supervisor to act in the face of change. They have been conducting organizational and cultural assessments since 1990, and are adept at identifying key levers for change in an organization. Cathy has been using Human Synergistics’ culture inventories since 1995 and has taught its Culture Workshops for the last five years as an Expert Practitioner. Cathy's new book, Fizz! How to Succeed as an Independent Consultant, will be available on Amazon on January 1, 2019. Her first book, Confucius in my Cubicle: Practical Wisdom for the Leader in All of Us, was published in December 2017 and is available on Amazon. Cathy also blogs as The Consultant’s Coach on LinkedIn.